Haiti in Less than 24 Hours! The spring project assessment trip to Haiti is happening in less than 24 hours! 13 VHPers will land in Port-au-Prince before making their way up to Gros Morne, to Chermaitre, and finally to Jacmel. Along the way, they will assist in a clinic day in the newly completed Chermaitre-Fiervil Clinic, and buy Haitian arts and handcrafts in Port-au-Prince. 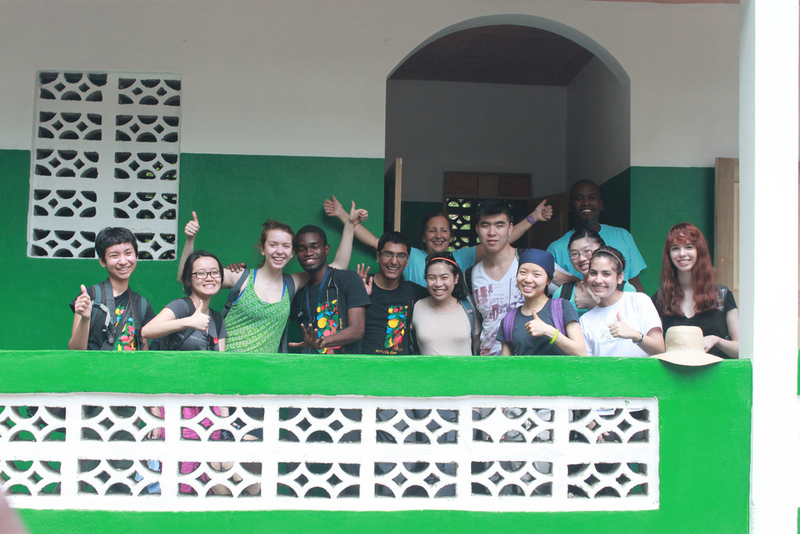 March 2013: Last year’s trippers at the clinic! The longest stay will, of course, be in Chermaitre. The trippers will have a long list of goals this year, including but not limited to: determining how well the water filters we recently installed throughout the village are functioning; testing soil quality to assure good reforestation conditions; taking wellness measurements at Ecole St. Paul; and meeting with the new, 53-member women’s cooperative to solidify plans. Above all, they are excited to finally be able to connect with VHP’s local partners and the people in Chermaitre. While every trip to Haiti is unique in its own way, this year’s will be especially so thanks to the addition of Alex Camilleri to the trip. Alex, a Vassar alum from Class of 2010, currently works in film. While at Vassar, he helped produce several videos about the Vassar Haiti Project. As part of the team, Alex will be capturing the essence of the trip: the journey of traveling to Chermaitre coupled with the daily interactions with the people there, the struggles that inherently come with the nature of what VHP does, but also the many triumphs. His presence will undoubtedly be invaluable.